Everyone should read this book, especially at this time when hatred is being spewed all over--the internet included! I have never been a fan of "legal remedies". Actually I don't trust lawyers all that much--It goes against my grain that they can one minute be fighting for the plaintiff then the next switch gears and fight for the defendant. I do understand the need for them to be able to preform this sleight of hand--but it does not mean I have to like it! Most of our politicians are lawyers--need I say more? As of right now we have a bunch of Big Business people in government--they are no better in my opinion! You may agree or disagree with me--but that is my opinion and I agree to disagree with those of you of opposing opinions. We all have the right to our own opinions! I had heard of mediation before but honestly did not know too much about it. After having read this book it does seem to me that mediation is a far better route to travel then a courthouse. 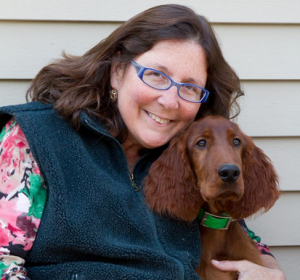 It explains the entire process in easy to understand language, and why, especially when in a dispute over a beloved pet (who is considered property in a court of law)-it is the way to proceed. There is no right or wrong in Mediation--but there is a way to bring two or more parties to a mutually satisfying conclusion and at a much lower cost! This book explains the process from one end to the other using anecdotal situations. At the end there is a compilation of resources which you can go to if you are in need of a moderator. 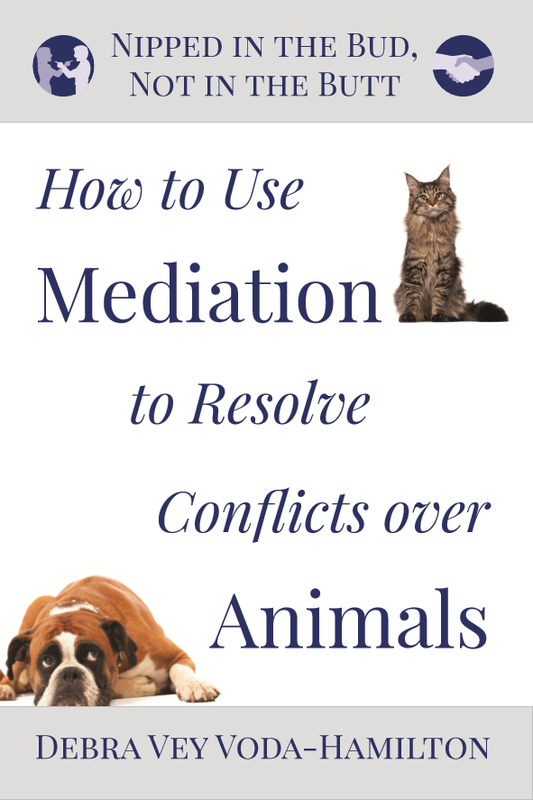 A comprehensive, yet easy guide to avoiding litigation and achieving success through mediation in disputes over animals. 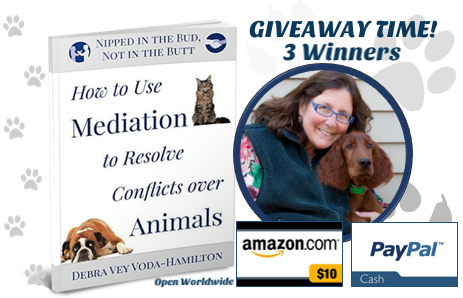 This is a must read for pet owners, veterinarians, trainers, barn managers, grooms (in barn settings) pet groomers, pet rescue and adoption organizations and anyone else who wishes to avoid the pain and pitfalls of court battles"
How to Use Mediation to Resolve Conflicts Over Animals sounds very possibly like a great opportunity. At first I read it as meditation and I thought ho helpful because plain meditation (none of the cult crap).Can actually make one very calm and kinda self soother. I would think people in this relaxed state could debate or discuss a volital situation easier. Any way back to the actual book I believe we pass our feeling of happiness as well as nervousness as stress on to our animals just like we would our children. Mediation would be calmer and less stressful, especially not having to wait for a bill from a person that probably could care less who wins. Yes I think all pet owners would benefit from reading this, to stop situations getting out of control. This sounds like a very interesting read. I've never heard of this but worth checking out. I should get a copy of this book for my vet to keep at her office! This would make a great gift for an animal lvoer. We dont have any pets but so many of our friends do! I never would have realized this before, but now that I have two cats, I can totally see how it would be a battle. I know I'd fight for mine! I've never known anyone that was fighting over their pets. Mediation has the potential to be useful in divorce so I'm sure it's useful in other ways as well. This is interesting. I've also never heard of mediation between a pet. 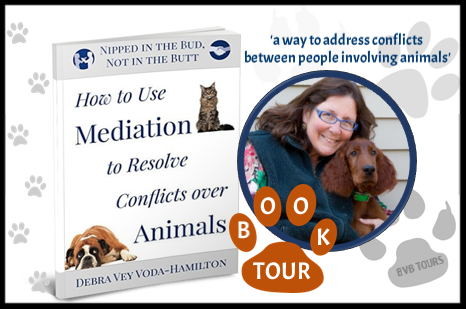 Mediation is a great thing but also very difficult, glad that here is a resource to get tidbits of information on how to handle conflict. I have to say it is a great title and worth exploring. It saddens me when separating couples fight over everything including the family pet... why not share? As for your other points, you are spot on! What an interesting concept for a book! I love Meditation but haven't thought about using it for this purpose before. Thanks for the awesome giveaway. I haven't had any conflicts directly, but being involved in animal rescue, I know quite a few peple who have. I'm sharing the link to your book to my rescue friends on Facebook. I'm sure quite a few will be interested. People do form deep attachments with their pets so ending a relationship can mean a big battle. Great idea for a book. I have not had any conflicts with animals in the past. I really never had any conflict with any of our pets, all of them are rescue pets. I have not had a conflict yet.